Explorer guide Elías León was killed as a group of armed intruders broke into Inkaterra Reserva Amazonica in Puerto Maldonado on Tuesday evening. Peru’s Sacred Valley of the Incas is now home to the newest Inkaterra organic spa at the Inkaterra Hacienda Urubamba. Inspired by the nearby Urubamba river and traditional Andean architecture, the new Mayu Spa features a rustic chic design and showcases the picturesque views of the property’s organic gardens and peppertree forests. 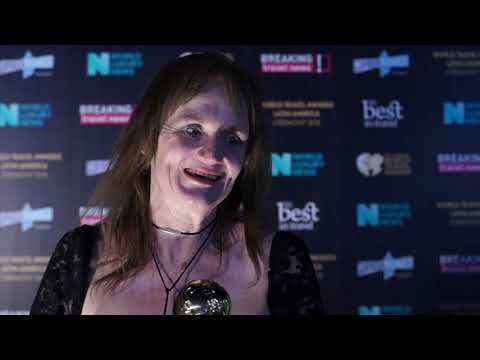 Soledad Caceres Urbina, administrator with Cusco Peru Travel, speaks to Breaking Travel News as the company is recognised as Peru’s Leading Travel Agency by voters at the World Travel Awards. Deslie Henderson Salcedo, sales manager with Machu Travel Peru, speaks to Breaking Travel News as the brand is recognised as Peru’s Leading Tour Operator at the World Travel Awards Latin America Ceremony in Ecuador.